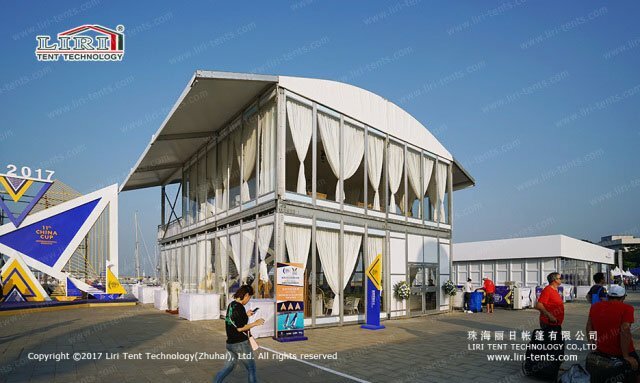 Days are always like sand flowing from your fingers and slipped quietly. 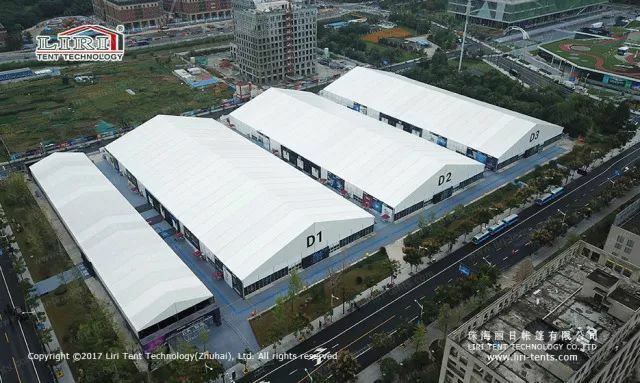 Reviewing the achievements made in 2017, Liri tents, as the new assembly structures, have gained more and more attention and recognition. 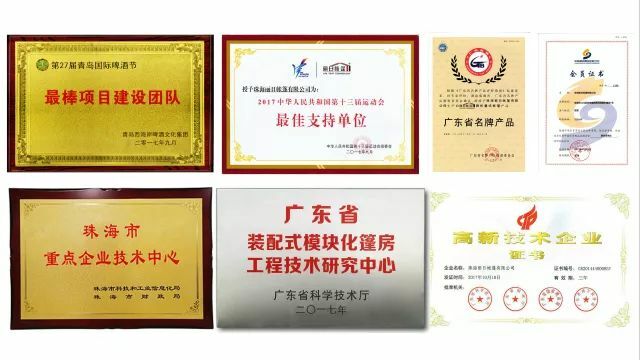 In addition to the “Guangdong A-level Enterprise of Credit” for five years, 2017 Liri Tent got more new honors. 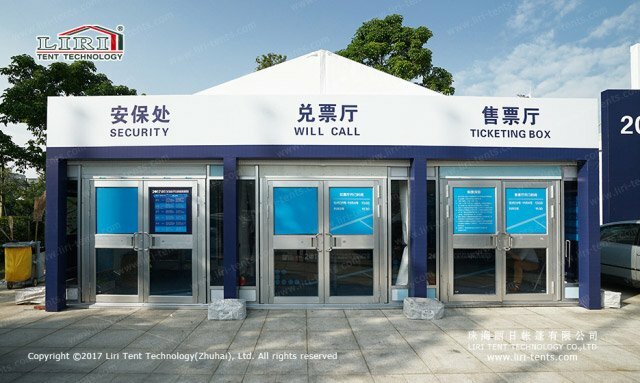 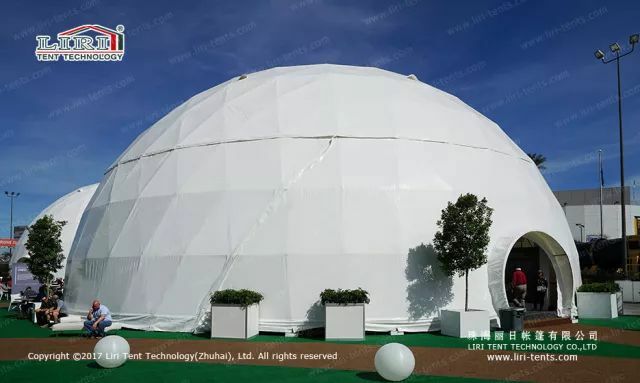 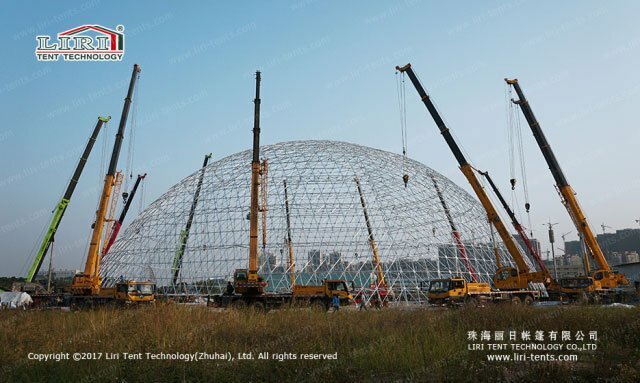 Liri Tent has strengthened the ability of independent innovation and improved core competitiveness, in 2017 we have developed large three-storey tent, 55m Geodesic Dome Tent, 60m Geodesic Dome Tent and Module Tent, and they were successfully pushed into the market and brought a new experience to the customers. 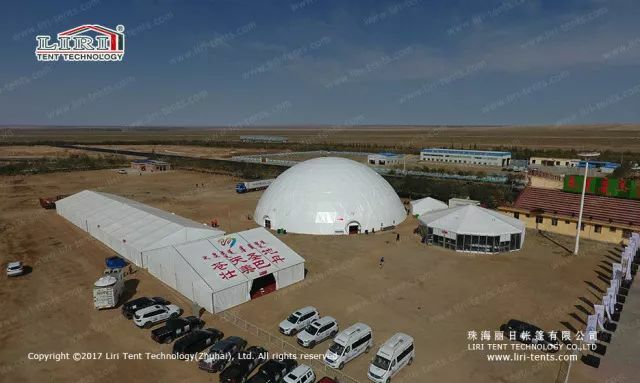 In 2017, the major breakthrough of Liri Tent is temporary tents for large scale stadiums. 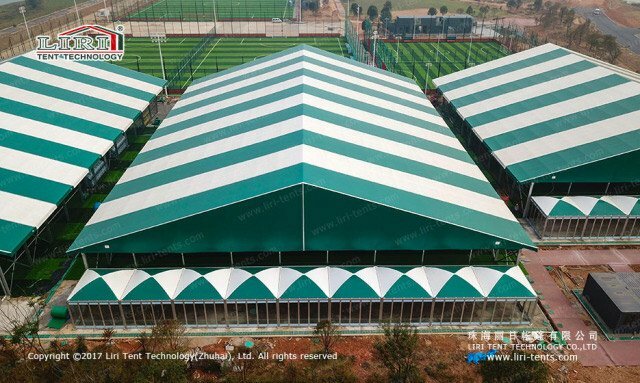 Focusing on the new applications for construction space, from design to construction, Liri Tent has formed a complete system, and supplies the all-weather comprehensive stadium with different size/function/type. 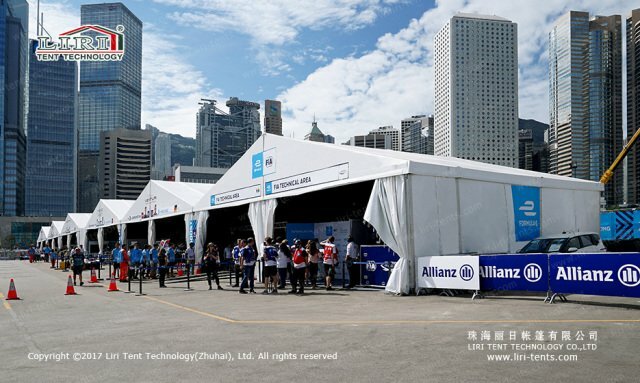 Liri Tent has always been a major assembly structure supplier of large sports events. 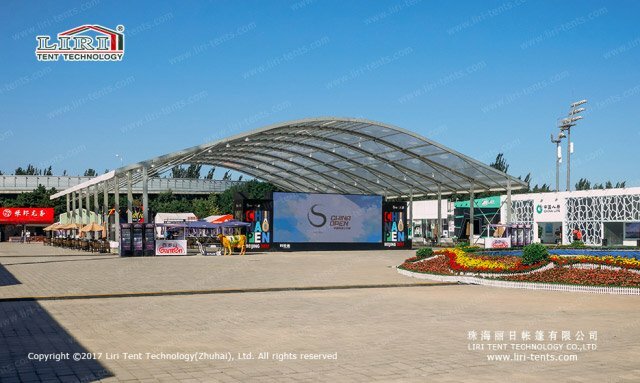 Sports tent can be a more complete and flexible sports solution to meet the different needs of events, therefore, Liri Tent attracts the attention of large sports events. 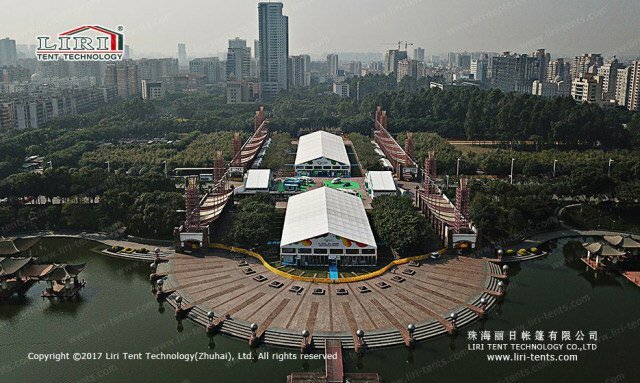 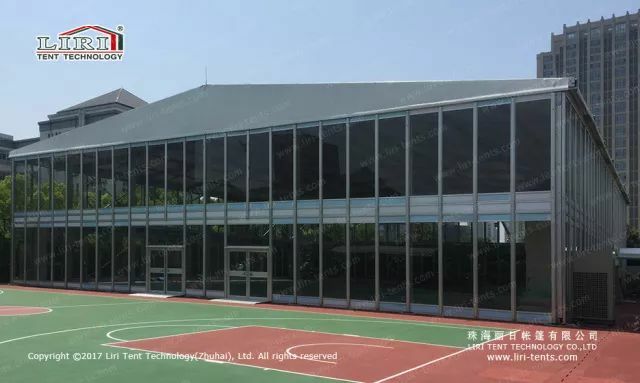 Liri Tent becomes official partner for the China tennis tournament, Wuhan tennis tournament, Zhuhai WTA, Nanchang WTA for many years, and providing a variety of functional tents. 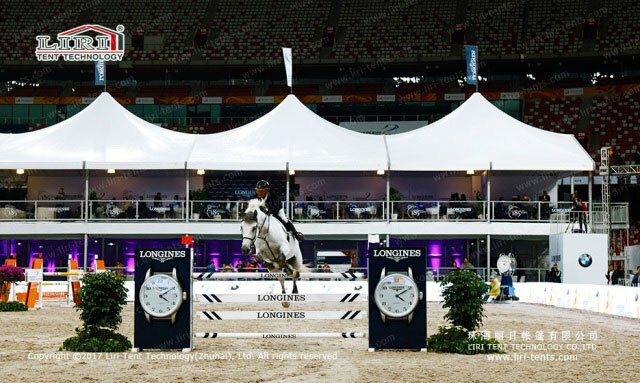 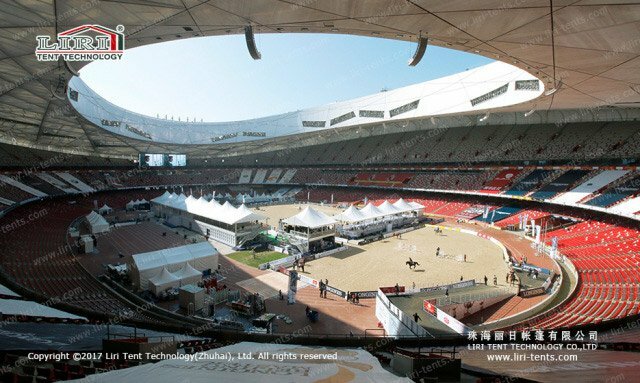 Liri Tent becomes exclusive tents suppliers for Longines Beijing International Equestrian Masters for 3 years, building nearly 10,000 square meters mobile tents in the Bird’s Nest. 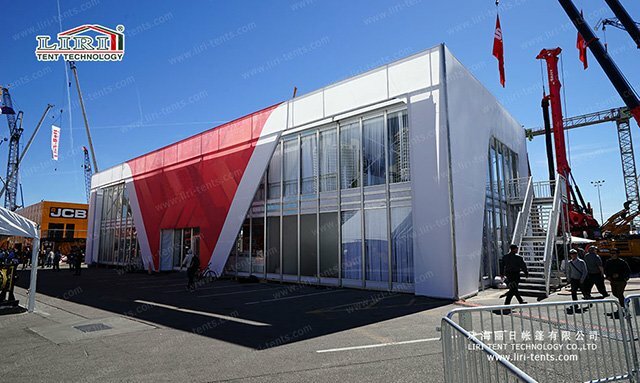 In recent years, the demand for exhibition projects is continually increasing. 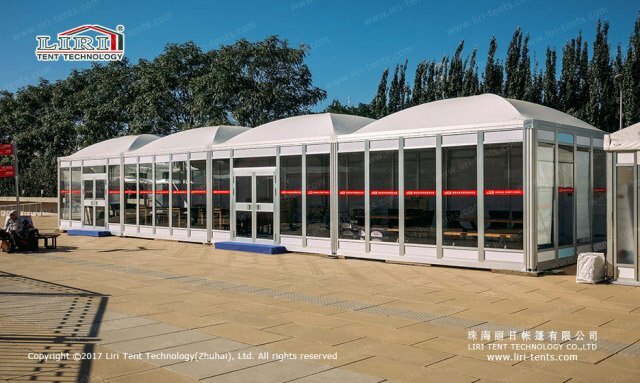 In 2017, Liri Tent has also made new breakthroughs in the temporary pavilions. 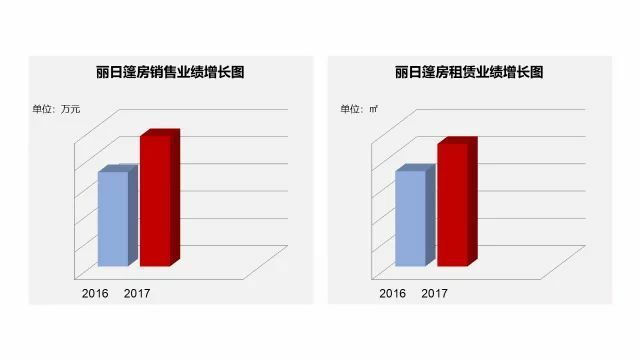 In 2017, the sales performance in both domestic and foreign markets maintained a steady growth. 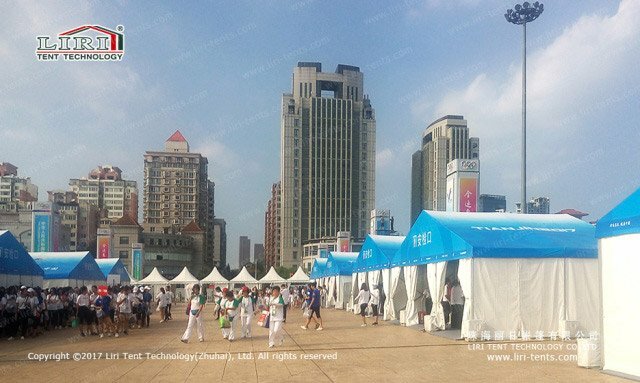 The projected rental area of domestic tents reached 900,000 square meters, which created a new record. 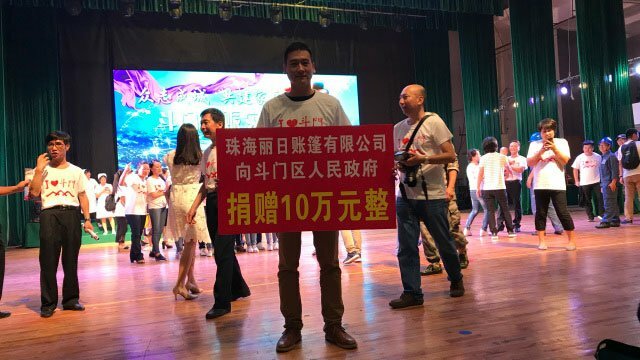 Zhuhai city suffered the strongest typhoon in 50 years on August 23, 2017. 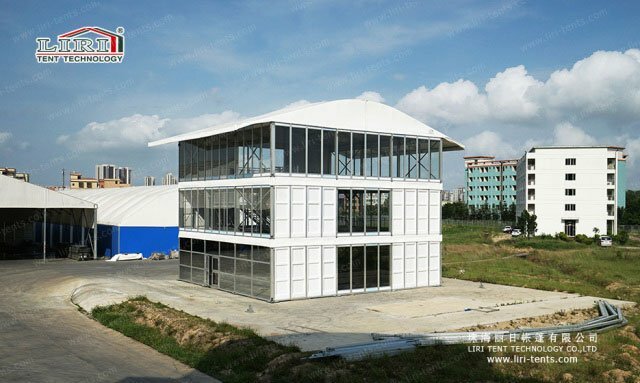 Liri donated 100,000 yuan in cash to the government at once and provided a series of tents for post-disaster reconstruction, although Liri also suffered a result of the typhoon. 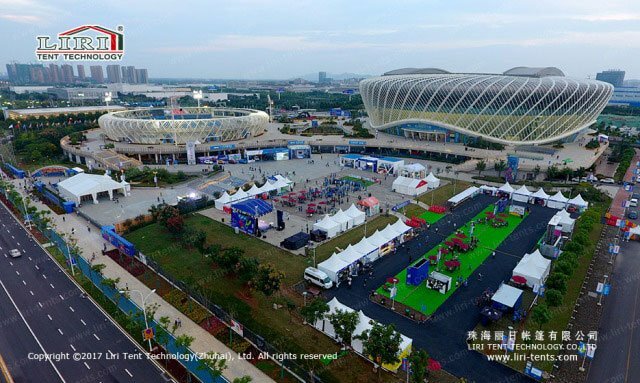 However, Liri never forget to pay close attention to the difficulties of the government and society and to fulfill the social responsibility of outstanding enterprises. 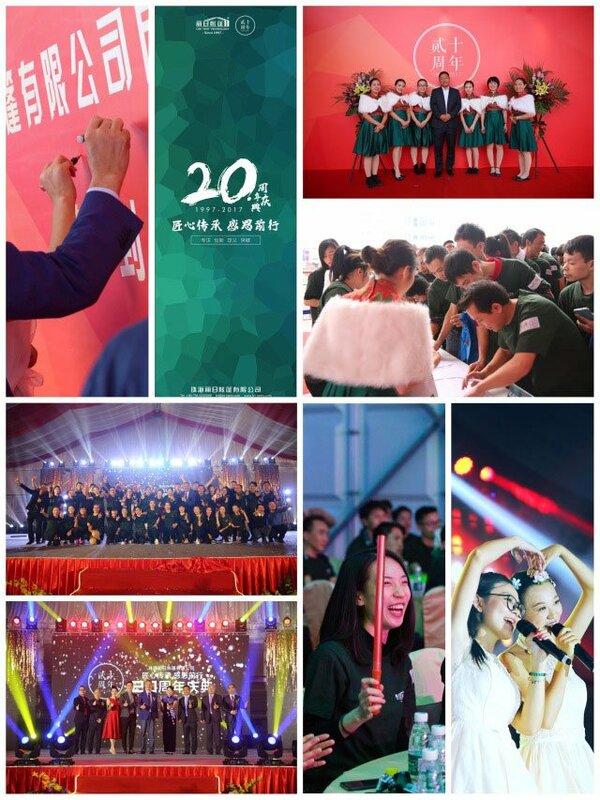 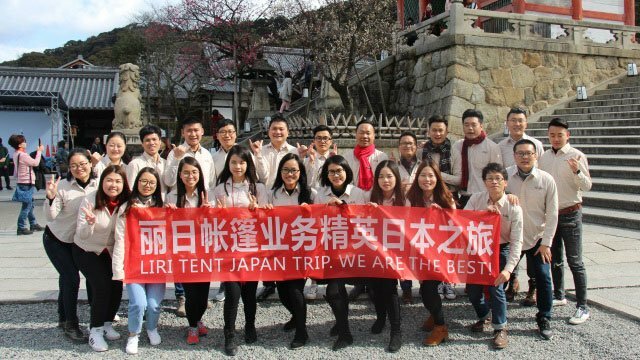 Liri Tent annually provide company tourism to enrich the leisure life of the employees, enhance the friendship between colleagues, broaden their horizons and cultivate sentiments. 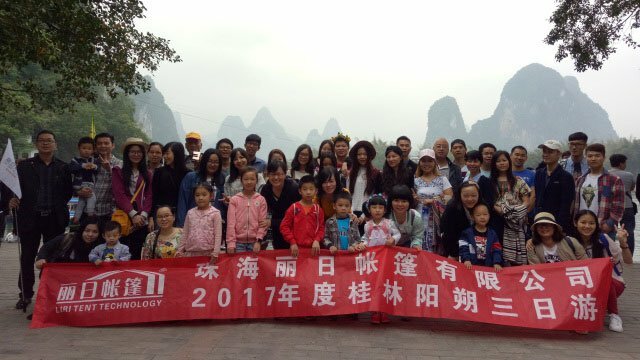 when spring comes,Sales elites started their Japan travel in March; In April, Liri staff began the annual tour to Yangshuo, Guilin for 3 days. 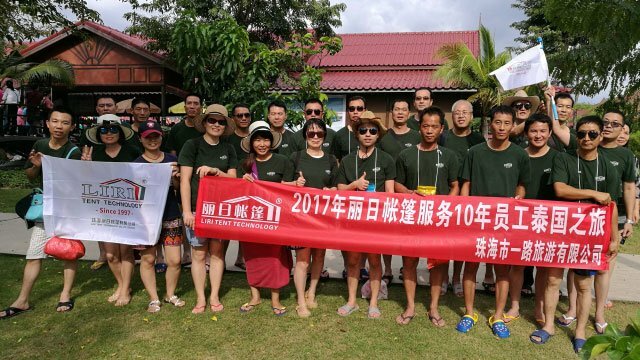 To thankful of those staff, who work over 10 years with selfless paid, Liri provided a Thailand’s journey to them. 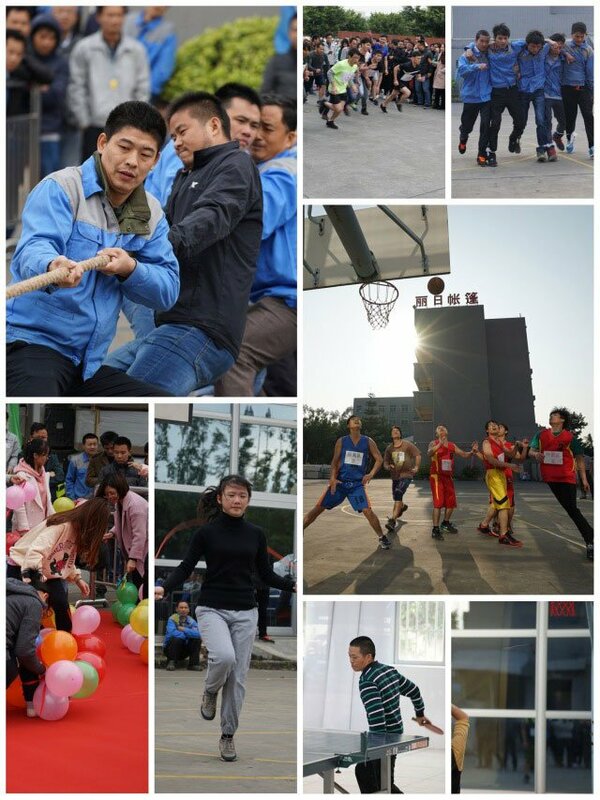 The 2017 Liri Cup Game was successfully held on the theme of “Keeping fit, self-challenge, self-reinforcing and cohesive”, fully reflecting the spirit of unity and cooperation among Liri employees.